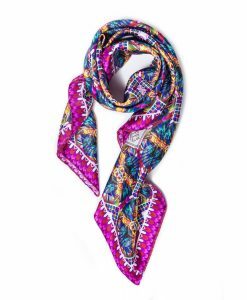 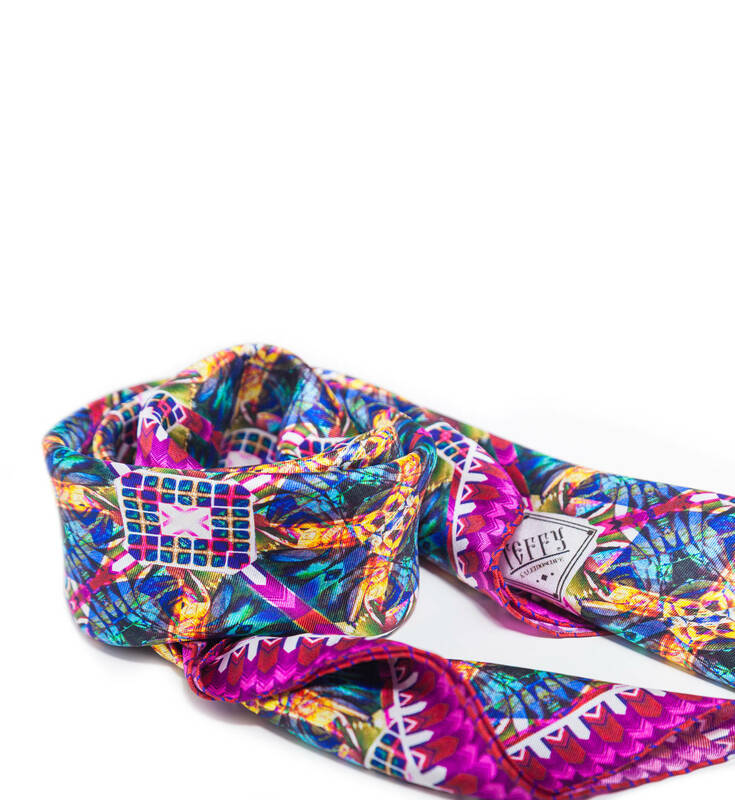 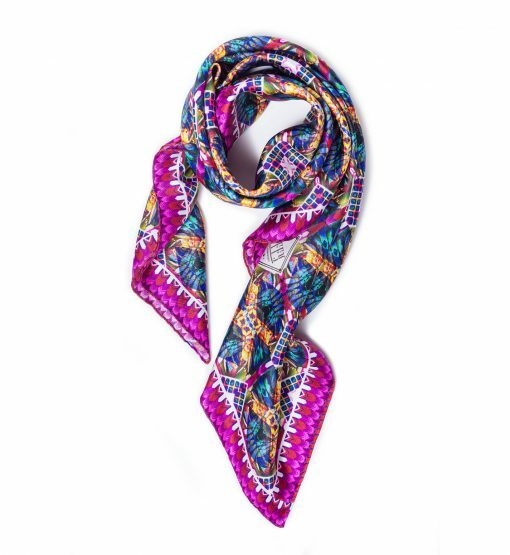 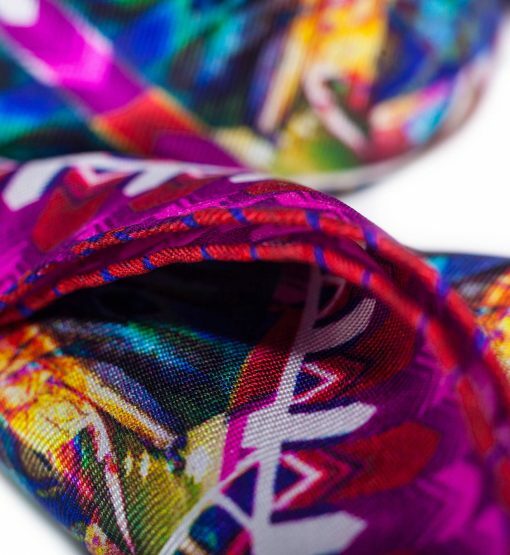 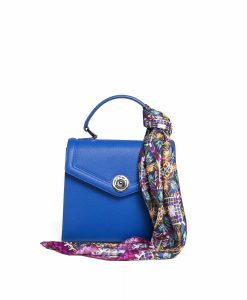 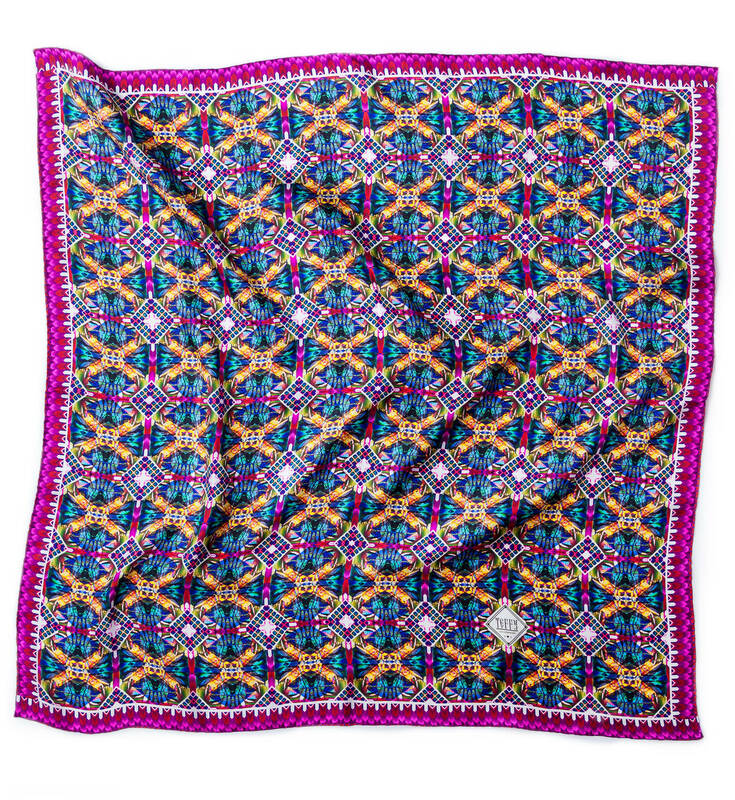 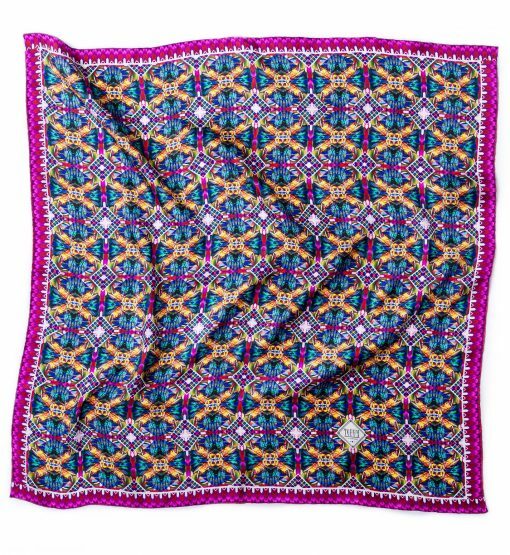 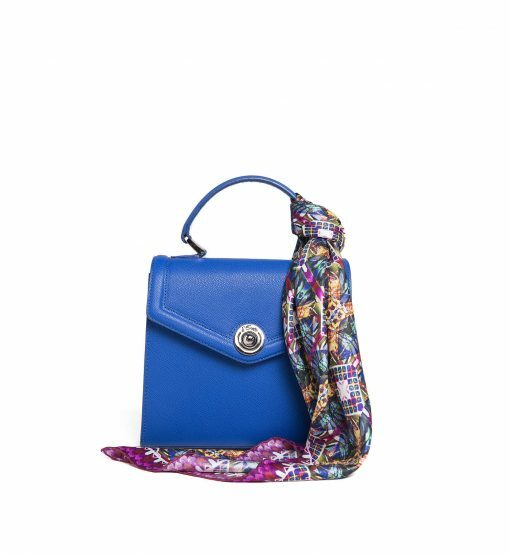 Teffy’s printed scarf is beautifully made in Italy from lustrous silk-twil. 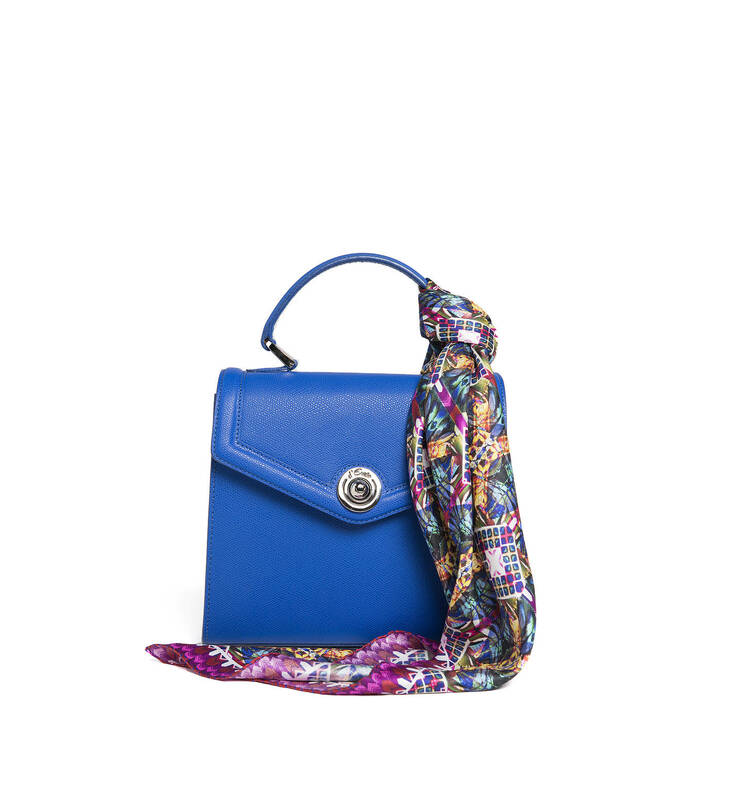 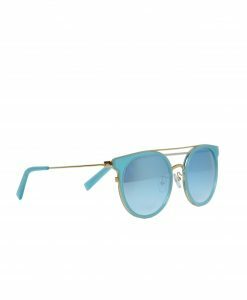 This accessory is an effortless way to add a touch of color and chic to your everyday looks. 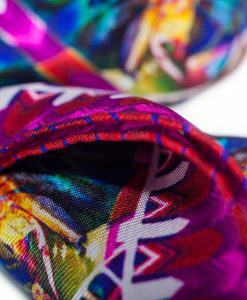 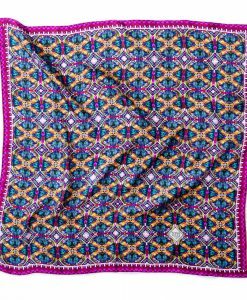 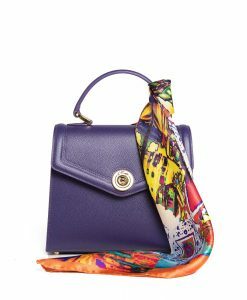 The silk-twill design is patterned with vivid crystals motif that’s splashed onto a purple and emerald green background. Wear yours knotted at the neck, around your favorite tote, or worn over a head.